Daughters touch lives every day and make lasting impressions on their community. Daughters are vibrant, active women who are passionate about community service, preserving history, educating children, as well as honoring and supporting those who serve our nation. The National Society Daughters of the American Revolution, founded in 1890 and headquartered in Washington, D.C., is a non-profit, non-political volunteer women's service organization dedicated to promoting patriotism, preserving American history, and securing America's future through better education for children. 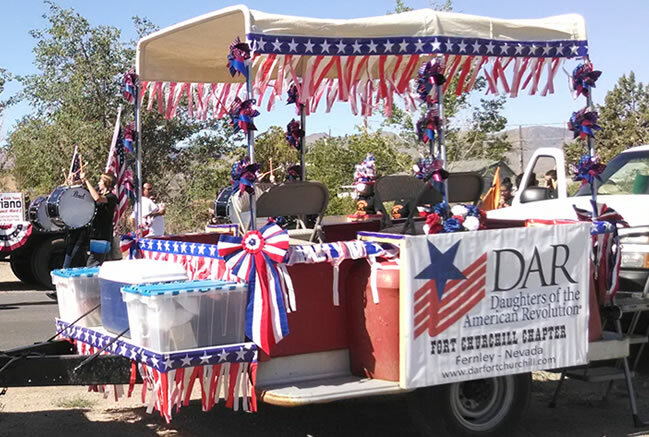 The Nevada State Society of the Daughters of the American Revolution consists of fourteen DAR chapters located around our great state. 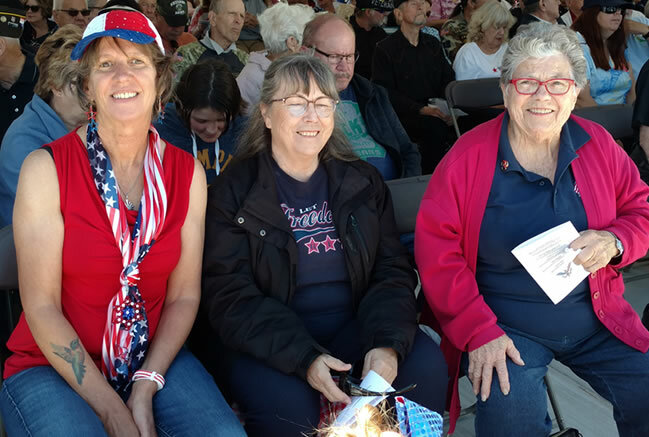 With more than 785 members statewide, the DAR in Nevada actively supports our communities through many volunteer hours each year in support of the NSDAR motto: God, Home, and Country. 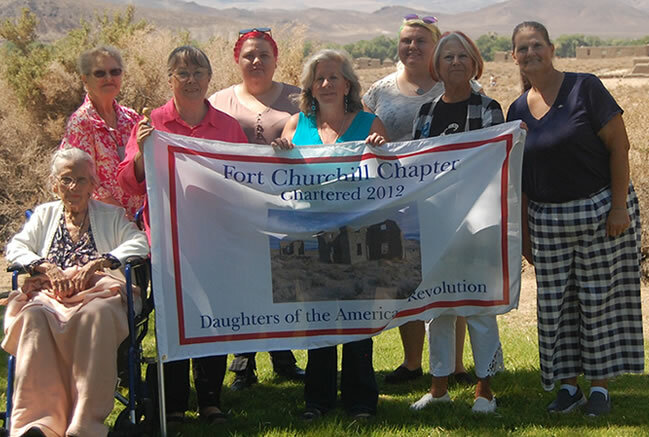 Fort Churchill Chapter was organized in Fernley, Nevada, on October 06, 2012, by organizing regent Linda Garrett and eleven patriotic women. The chapter name, Fort Churchill, was adapted from the once active U.S. Army fort built in 1861 to provide protection for early settlers. Fort Churchill is located eight miles (13 km) south of Silver Springs on Alternate U.S. 95, and one mile on Fort Churchill Road. Any woman 18 years of age and who can prove lineal, blood line descent from an ancestor who aided in achieving American independence may be voted into membership by the chapter. Documentation of said lineage must be provided according to NSDAR guidelines on the official membership application and with acceptable supporting materials.